China has confirmed what many have been expecting for some time: it will construct the world’s fourth GNSS system — joining the systems operated by the United States, Russia, and Europe. Given the defense implications of GNSS technology, the development was probably inevitable; however, the timing still came as a surprise for many, especially in Europe where Chinese participation in the Galileo program had been seen as a way to pre-empt China’s creation of an independent system. In an announcement made through the government news agency, Xinhua, the People’s Republic of China (PRC) National Space Administration said the nation will build its own 35-satellite GNSS system, known as Beidou or Compass. The system would include five geostationary Earth orbit (GEO) satellites and 30 medium Earth orbiting (MEO) satellites in six orbital planes, the latter operating near the GPS and Galileo altitude of 20,000 kilometers. According to People’s Daily Online, Compass will offer two levels of service: an open, commercial service with real-time autonomous positioning accuracy of 10 meters and 50-nanosecond timing accuracy as well as a safer “authorized” service — probably similar to Galileo’s publicly regulated service (PRS) or the encrypted GPS military signals. Beidou (or “North Dipper,” referring to the seven stars in the constellation Ursa Major also known as the Big Dipper) alludes to the navigational role long associated with the compass or Pole-star — stella polaris — found in that grouping of stars. 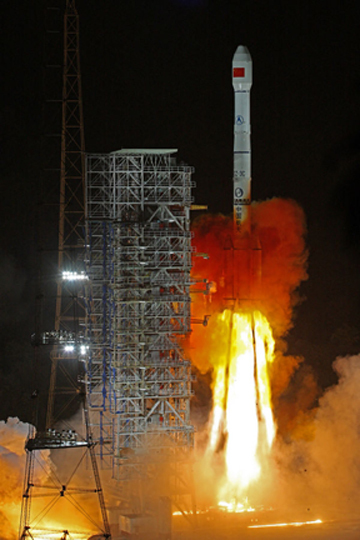 By May 2003, the program had launched three Beidou GEOs transmitting signals in the S-band radio spectrum. The next stage of development will begin early in 2007 with launch of two satellites, although the news reports did not indicate whether they would be additional GEOs or MEOs. The plan behind the program. China’s government approved the implementation of the system in September 2003 with a capital investment of 15 billion renminbi (US$1.9 billion) and completion of the system by 2010, according to a May 28, 2004, commitment letter to the ITU, from Zhu Sanbao, deputy director general of the Radio Regulatory Department of the PRC’s Ministry of Information Industry. According to Zhu’s communication, the Compass satellites will be developed, manufactured, and launched by the China Aerospace Science and Technology Corporation (CASTC). PRS, M-code overlay threat? 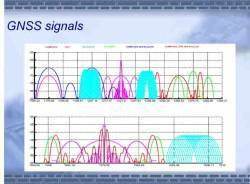 Frequency filings made by China for radio bands in which to transmit Compass signals indicate that it would overlay both the Galileo Public Regulated Service (PRS) and military GPS M-code at L1, as well as L2. 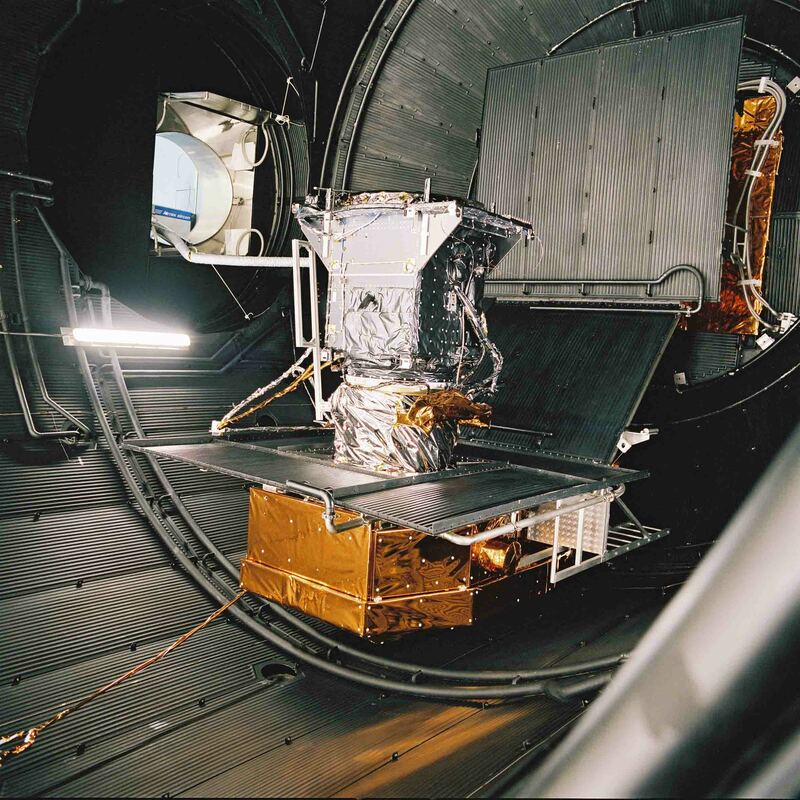 That could reignite the controversy that arose with the Galileo program’s initial proposal for PRS to overlay the M-code, which is a new capability on the modernized GPS Block IIR satellites now being launched – including the third one put into orbit on November 17. Those requests have gone to the International Telecommuncations Union (ITU), a United Nations affiliate responsible for achieving consensual harmony in use of radio spectrum worldwide. ITU working groups are currently evaluating the potential interference with existing or approved GNSS signal allocations. The issue is certain to come up at the World Radiocommunication Conference 2007 set for Geneva, Switzerland, next October/November. Cooperation, Competition, or Cooptition? China is willing to cooperate with other countries in developing its satellite navigation industry to allow the Compass system to operate with other global satellite positioning systems, according to an “informed source” cited by Xinhua. The proposal to overlay the M-code — effectively preventing the U.S. military from jamming Compass transmissions without jamming its forces’ own signals — will undoubtedly raise the same alarm in the Department of Defense as did the original PRS design. 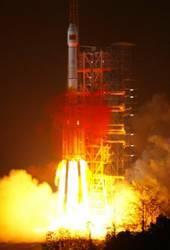 More immediate consternation will probably occur in the European Union (EU), which has sought to engage China’s support for years in the Galileo program. The Galileo Joint Undertaking (GJU) signed a cooperation agreement in October 2003 — reportedly the largest EU/PRC science & technology effort — that included China’s €200 million contribution to the Galileo program, primarily in the form of applications development and regional monitoring capabilities. The National Remote Sensing Center of China (NRSCC) was designated as the European Union’s Chinese partner on the Galileo Project and a state company established, China Galileo Industries Ltd., owned by CASTC, China Electronics Technology Group Corporation, China Satcom and China Academy of Space Technology. The European Commission, the EU’s executive branch, signed an agreement with China that assured Chinese “participation” in the GNSS Supervisory Authority (GSA) slated to take over Galileo program responsibilities from the GJU in 2007. However, that participation apparently will not stake the form of full membership that China wants.